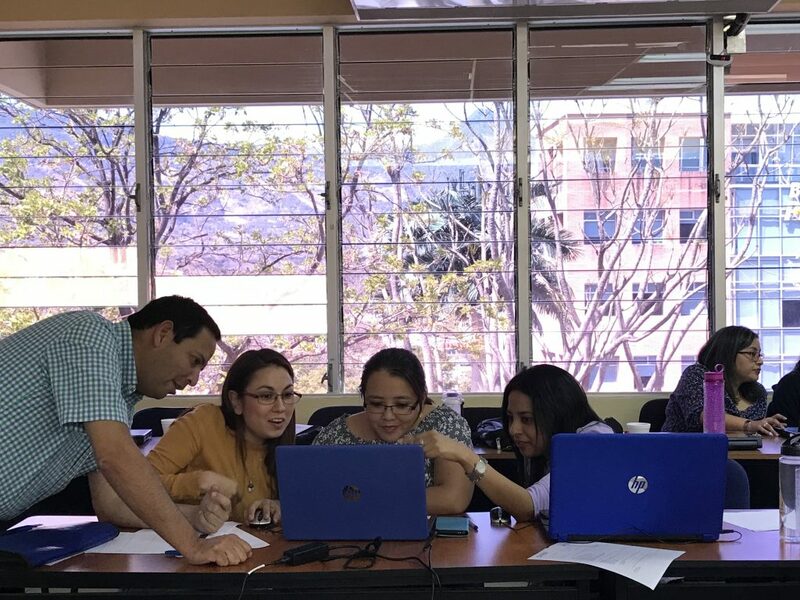 The workshop, entitled “The Fundamentals of Online Learning,” focused on the TechChange model for designing self-paced content, leading participants through the steps in our project life cycle – from the kickoff to the finalization and everything in between. Our team began the workshop by presenting the basic theory behind our instructional design process, sharing our templates for effective scripting and storyboarding, and moved on to introducing two industry standard tools for authoring courses – Camtasia 9 and Articulate 360 – and our best practices for using this software. Participants integrate Camtasia screencasts into their Articulate file. Throughout the two day workshop, participants shared the training challenges that they were facing in their daily work and used them as real-life case studies for the group. We used these challenges as inspiration for the final project and asked the participants to separate into teams and create their own short, self-paced Articulate learning solutions, complete with a script, storyboard, narration, images, and interactions. Teammates work together to develop a self-paced Articulate project. A lively round of presentations and applause finished out the workshop and each participant received a signed certificate of completion. 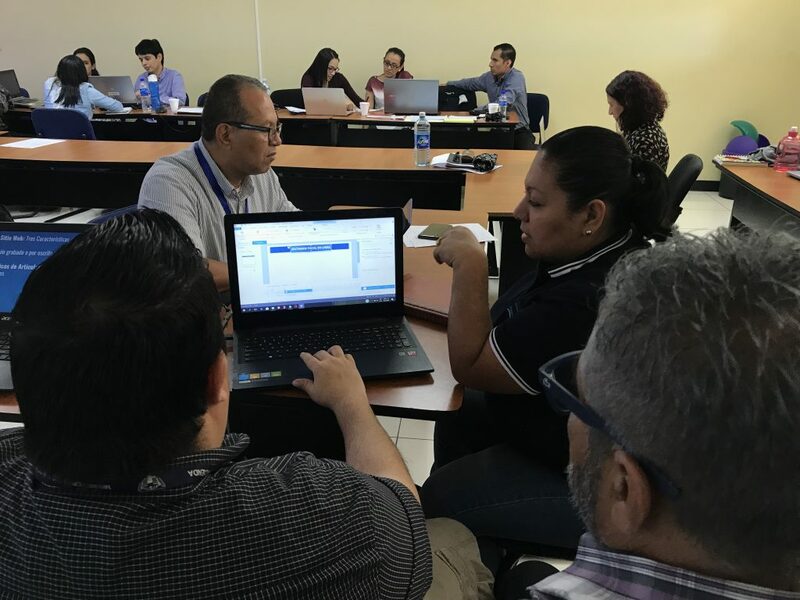 The participants hope to use their eLearning skills to promote transparent government and development and create educational resources for all Salvadoran citizens.